August 18, 1913. Monday. You say that it is the most difficult day of the week but for one of the Monte Carlo casinos it was a lucky and shiny day. This roulette story brought the casino millions of francs. Why? Because in the roulette black came up 26 times in a row. Can you imagine that chaos, hustle and madness, which was going on around the table, just like at USA Casinos? Everybody was betting on red. They were dead convinced that there was no chance that black would come up again after ten and twenty times. We are people. No one can say that we are stupid, but we are very often not wise, especially in the aspects that concern gambling. We do not listen to someone's story and think that everything will be different with us. People forget that the roulette wheel does not have memory and it does not "care" about the winning or losing numbers. This kind of negative expectation reminds about Martingale system. As a result, on that Monday far back in 1913 people lost huge amounts of money, while the house was more than grateful to the destiny for such a "present." Also the gamblers make serious mistakes when they forget about statistical independence. 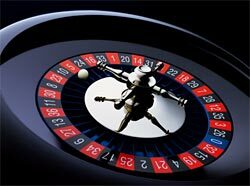 In the roulette game there is no number statistics, as each new spin is a new event that won't be repeated, or evev if it will be but with a very slight chance. Now we are talking about a perfectly balanced not biased wheel and honest dealer that do not play on someone's side. When the gamer is winning by betting on the same number, he is on the lucky streak. Then he starts thinking that the lucky streak will end and he starts betting on other numbers. Or if he loses, he "knows" that the luck is coming, it is right next to him. That is how people lose their everything, including house, car, family and gradually sanity. But come on! There is logic that tells us - you cannot predict the numbers, colors, odds, evens, dozens and so on. Simply hope that the your bet may win!